In tribute to the great explorers of Antarctica, we named our new krill harvesting vessel - Antarctic Endurance. The name honors the British polar explorer Sir Ernest Henry Shackleton (1874 – 1922) and the expedition with his vessel Endurance. It is an inspiration how he managed to endure the harsh conditions of Antarctica. In some ways, it resonates with what we at Aker BioMarine have tried to do over the past years after our very first trial expedition back in 2003 with Antarctic Navigator. 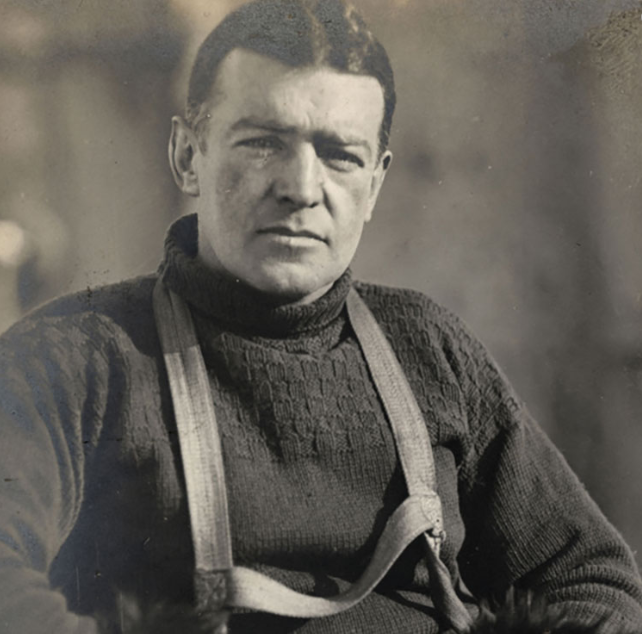 Sir Ernest Shackleton was a British polar explorer and one of the key figures of the period known as the Heroic Age of Antarctic Exploration. Shackleton led three British expeditions to the Antarctic. He was the third officer on Captain Robert Falcon Scott’s Discovery Expedition during 1901–1904. They set a new southern record by marching to latitude 82°S. During the second expedition 1907–1909 Shackelton together with three companions established a new record Farthest South latitude at 88°S, only 97 geographical miles (112 statute miles, 180 km) from the South Pole, the largest advance to the pole in exploration history. Also, members of his team climbed Mount Erebus, the most active Antarctic volcano. Shackleton was knighted by King Edward VII and later became a role model for leadership as one who, in extreme circumstances, kept his team together. After the race to the South Pole ended in December 1911 with Roald Amundsen’s conquest, Shackleton turned his attention to the crossing of Antarctica from sea to sea, via the pole. To this end, he made preparations for what became the Imperial Trans-Antarctic Expedition, 1914–1917. The plan for the expedition was to have “Endurance” take Shackleton and his crew into the Weddell Sea to Vahsel Bay, and from this point, Shackleton would begin the crossing of the continent. The second ship, Aurora, would start from the opposite side of Antarctica. The party at Aurora would then lay out depots of food and fuel to enable Shackleton and his team to complete their journey and to cross Antarctica. 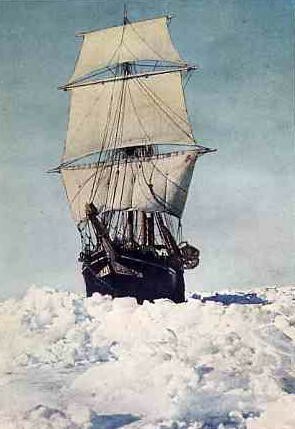 Early in 1915, Endurance became trapped in ice. Shackleton’s crew, 28- men had to abandon the ship to live on the floating sea ice. 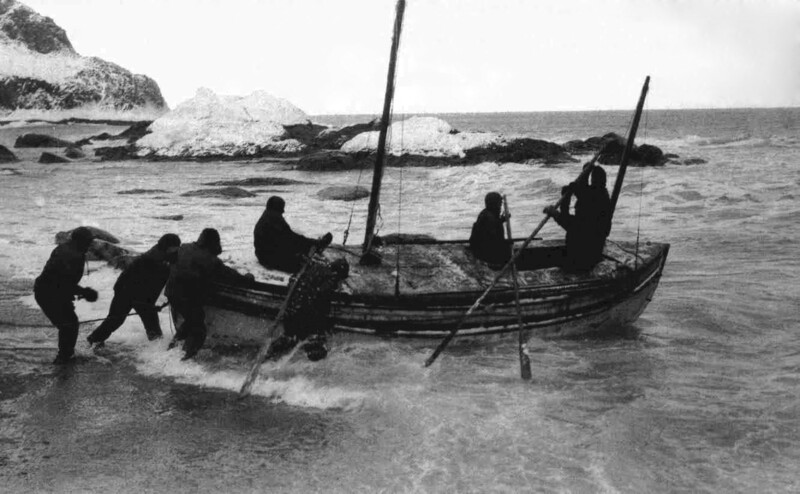 Taking five crew members, Shackleton went to find help. In a small boat, the five men spent 16 days crossing 1,300 km of ocean to reach South Georgia and then trekked across the island to a whaling station. The remaining men from the Endurance were rescued in August 1916, after living on the ice for over a year, not one life was lost. “Endurance” was built at the Framnæs shipyard in Sandefjord, Norway and was fully completed on the 17th of December, 1912. She was built under the supervision of master wood shipbuilder Christian Jacobsen. For us, in Aker BioMarine the name “Endurance” is a symbol of how we take on challenges as a company and we are inspired by the Shackleton’s family motto «By endurance we conquer». 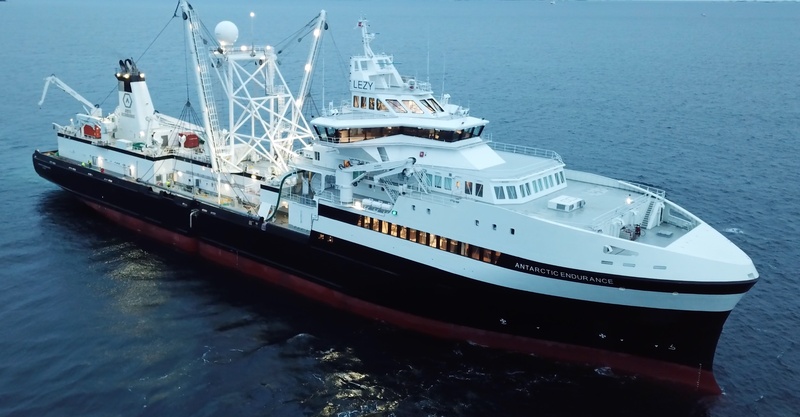 Aker BioMarine employees Viggo Brevik and Frode Utgård suggested the name “Antarctic Endurance” as the name for our new krill harvesting vessel. The vessel is the first krill harvesting vessel in the world built from scratch. 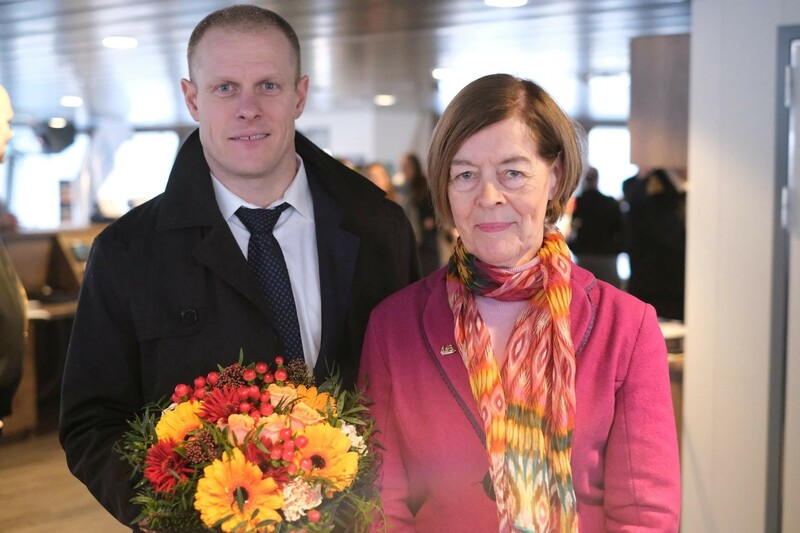 Photo: CEO Matts Johansen and The Hon. Alexandra Shackleton on board Antarctic Endurance during the naming ceremony on the 18th of January 2019. Photo: The Hon. 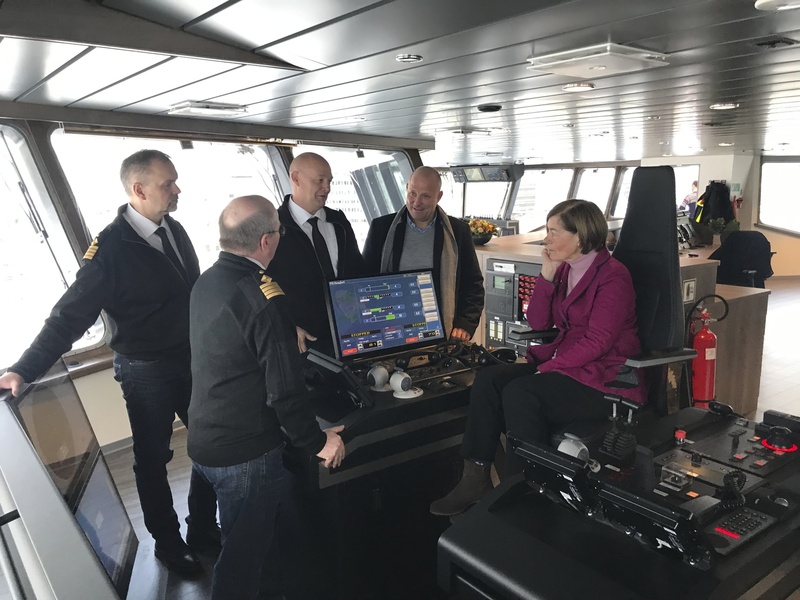 Alexandra Shackleton on board the Antarctic Endurance in joyful conversation with the captains, from left Arnljot Vågsholm, Kjetil Hole, Hans Jan Leithe and Viggo Breivik, General Manager Montevideo.